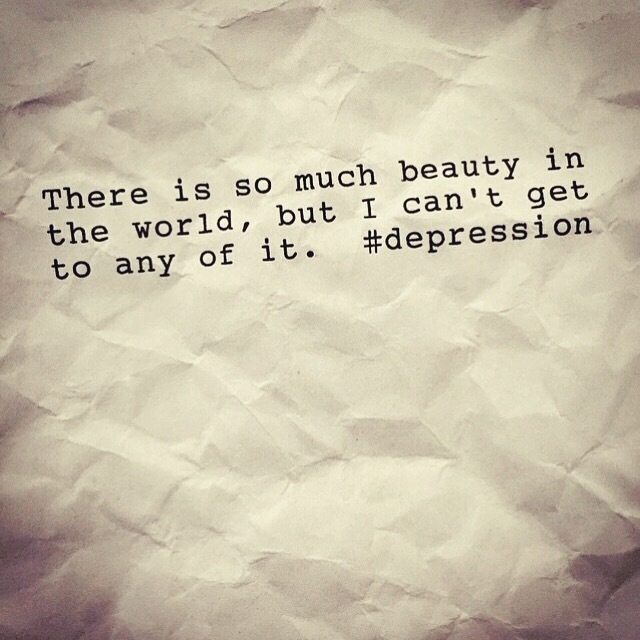 “Depression keeps me from feeling a part of things. Like I’m perpetually watching a movie, all the joy and beauty happening is for other people. I’m stuck, separate, always one degree removed. I can see it all: romance, color, moon, and sun. But I don’t feel it. It’s not for me. I’m underwater, in the dark, everything muffled and unclear when it reaches the me. It keeps me feeling alien and misunderstood. I wish I’d experience it in REAL-D, and real-time. I wish I could be in each sublime and glorious moment, but I can’t. Depression doesn’t let me.